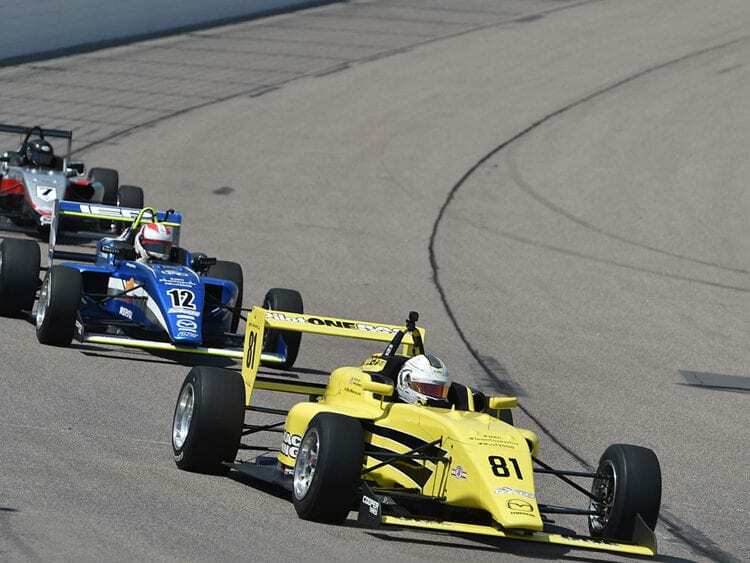 Running in his 1st oval at the Iowa Speedway, Team Pelfrey’s Kaylen Frederick took much learning from the USF2K Mazda Iowa 60 lap race. Qualifying eighth and with a sixth-place finish, K-Rex had an outstanding weekend as he was quickest driver of the weekend and went home with the Tilton Hard Charger Award. Kaylen led most of the 45-minute Official Timed Practice session with a 24.313 second lap until 13 minutes were left on the clock, at which time Rinus Veekay and Calvin Ming then edged Kaylen from the top spot. After chasing the timed lap leaders for 5 minutes, Team Pelfrey held K-Rex on pit out and rolled him out with 3 minutes remaining in the session. In his final lap before the checker Kaylen took the top lap speed & lap time in the ‘Happy Hour’ session with the fastest lap time and highest top speed of the weekend at 24.174 seconds and 133.138 mph. Kaylen ran the car on the warm up lap with good speed. Coming around turn 4 just before the straight K-Rex and No 81 got loose requiring K to lift. This significantly compromised entry speed of the 1st timed lap and lap time. Although Kaylen recovered well on lap 2, the average time dipped significantly placing him P8 on the grid. There would be work to do in the race ahead, but K had demonstrated confidence and smart decisions in passing over the 2 days of track sessions. 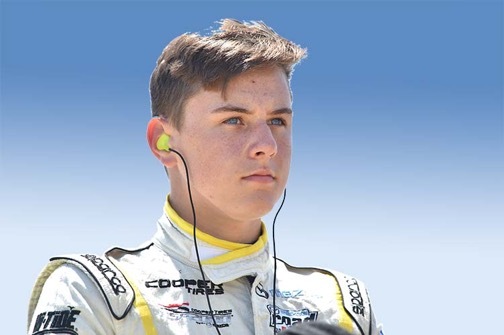 The 15-year-old battled his way to a sixth-place finish after losing multiple positions at the start. Rolling from P8 at the green flag, K-Rex had a good drive into Turn 1 overtaking one position. This was short-ended promptly as Pelfrey car 82 cut across his bow requiring Kaylen to lift. The resulting lack of drive into Turn 2 caused two drivers to overtake and push K back to P9. While P8 & P7 were dispatched within few laps, the P6 position required a fight. 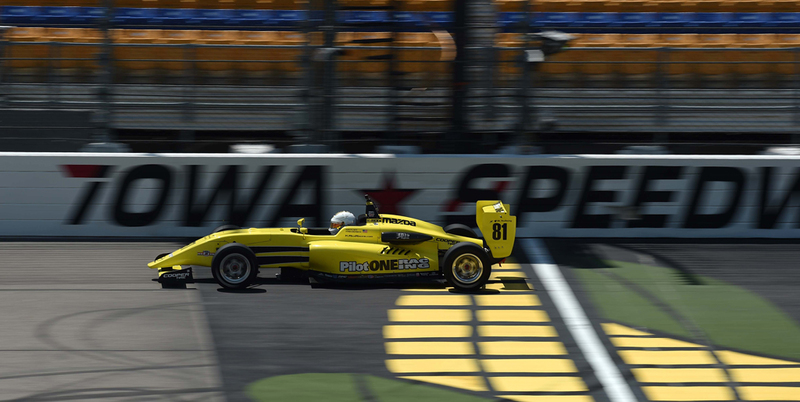 The rookie had an intense 10-lap battle with Lucas Kohl, moving into overtake and side-by side give and takes, Kaylen ultimately pulled away to then move on to challenge teammate Rob Megennis in the final two laps. K-Rex probably needed one more lap to get this done however and finished .096 seconds behind Megennis. Kaylen was the biggest mover in the caution-free race, maneuvering from eighth to sixth finish with 4 overtakes earned the Tilton Hard Charger Award. 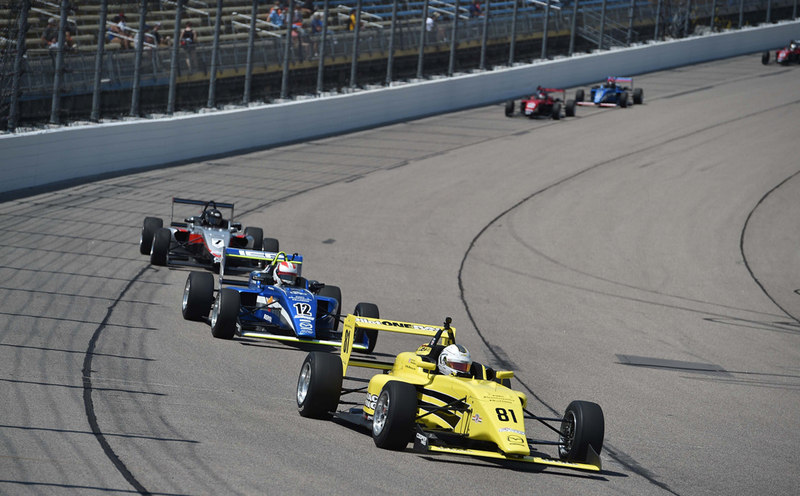 Four days following the Iowa ovals, K-Rex and Team Pelfrey’s USF2000 Series team will compete at the Streets of Toronto downtown street circuit, June 23-25. Please follow Twitter @kaylen_fred , Instagram #kaylen_frederick, or Facebook Kaylen Frederick to keep up with the action.